A tsunami warning the night before caused some pretty interesting ocean conditions- complete with “shark” “no, dolphin” “no, shark” spottings at the turn buoy. 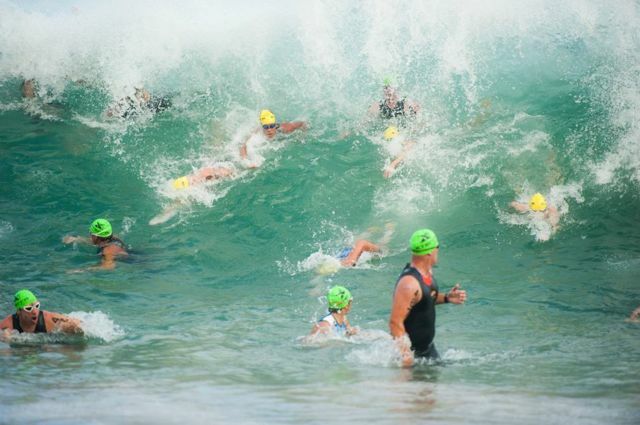 The tsunami was predicted to hit land at 10.28pm causing a large number of athletes to evacuate, only to return to bed at 1am. 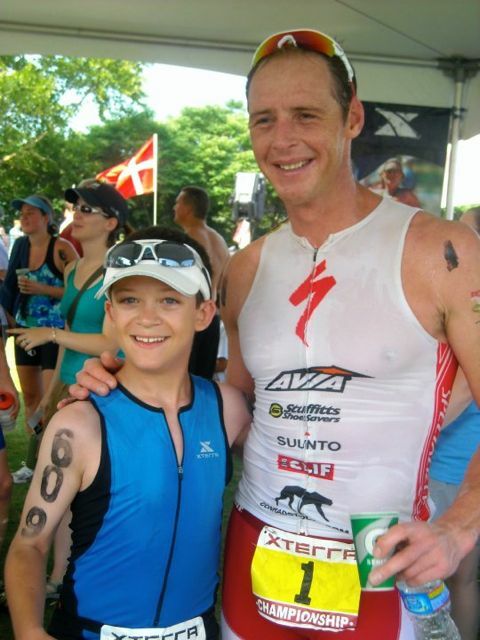 (Richmond, VA) – Conrad Stoltz, 36, from South Africa and Renata Bucher, 33, of Switzerland captured the XTERRA East Championship off-road triathlon pro titles in Richmond, Virginia this afternoon. It was a characteristically hot mid 90’s summer day in the River City, and that didn’t seem to bother Stoltz one bit. The “Caveman” had the second-best swim time with a 12:42 (just 20 seconds off Seth Wealing), the fastest 24km bike split by far (a blazing 52:11), and even turned in the quickest 10km run of the day in 40:24. It all added up to yet another win for the tall South African – his fourth straight on the XTERRA America Tour this year, and fifth win in six years here in Richmond. By midway through the bike Stoltz’ biggest threat was coming from his hometown of Stellenbosch in the form of 25-year-old Dan Hugo. 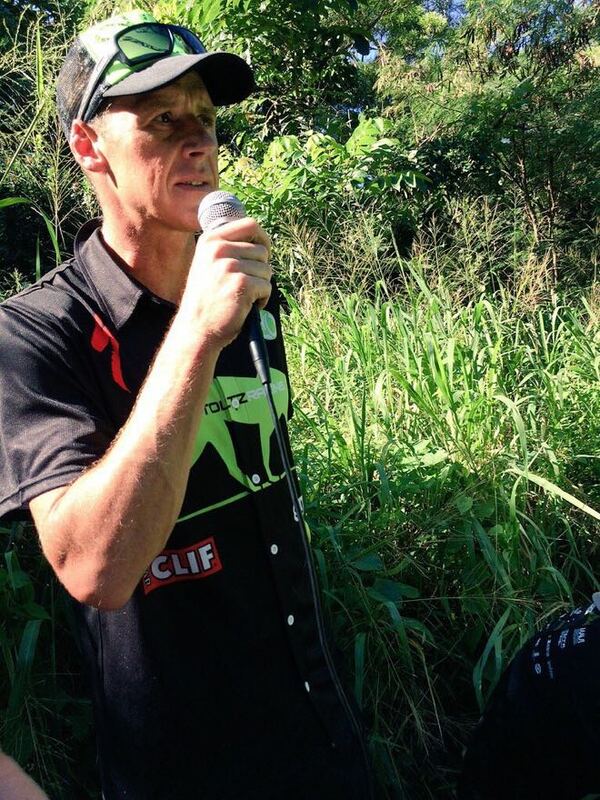 Hugo, making his 2010 U.S. debut (he won XTERRA South Africa back in February), was riding and running strong and all by himself in second place for most of the day. [Conrad Stoltz, 36, from Stellenbosch, South Africa and Renata Bucher, 32, from Lucerne, Switzerland captured the inaugural XTERRA South Central Championship pro titles on a hot and humid day deep in the heart of Texas at Cameron Park in Waco this afternoon. Nobody on the XTERRA Planet knows how to “Cowboy Up” like Stoltz, and he proved it by crushing the twisty-turny-tree-lined bike course, and walking tall across the finish line with a cowboy hat on in 2:02:21, more than three-minutes ahead of runner-up Josiah Middaugh from Vail, Colorado. 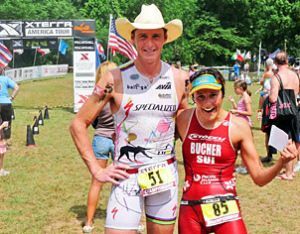 Conrad Stoltz won his second straight XTERRA 2010 USA Championship race and Renate Bucher her second ever with definitive victories at the XTERRA South Central Championship at Waco, Texas today. 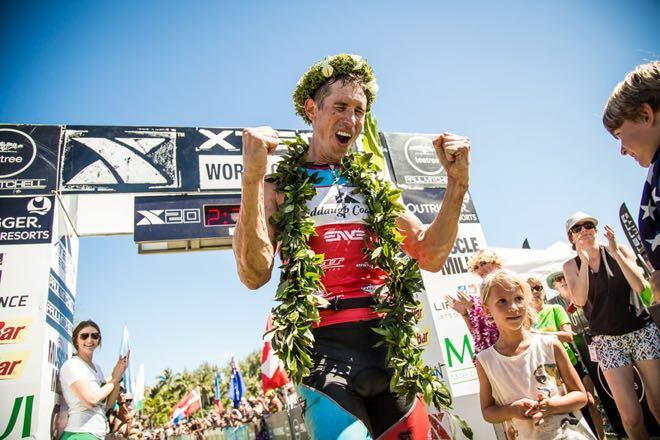 Stoltz followed his XTERRA West Championship win at Lake Las Vegas last month with a 2:02:21 finish for the 1.5 k swim, 24k mountain bike and 10k trail run for a 3:05 margin of victory over runner-up Josiah Middaugh of Vail, Colorado. Stoltz seems to be getting better as the season goes on, since his margin of victory over Middaugh last month was just 39 seconds. Bucher avenged a 6th place finish at Lake Las Vegas for a 2:17:59 finish that gave her a 2:15 margin of victory over Shonny Vanlandingham. 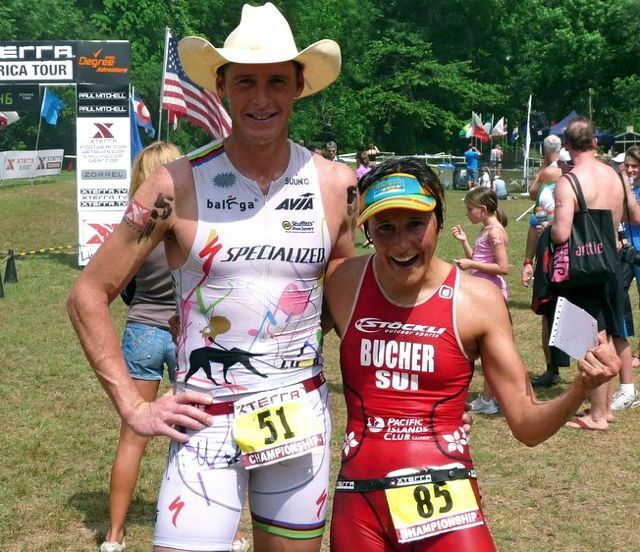 Bucher’s win was her second XTERRA USA Championship win to go with her 21 XTERRA International career victories.